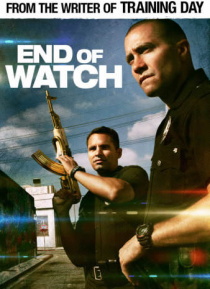 From the writer of Training Day comes a gripping, action-packed cop drama starring Jake Gyllenhaal and Michael Peña. In their mission to abide by their oath to serve and protect, Officers Brian Taylor and Mike Zavala have formed a powerful brotherhood to ensure they both go home at the end of watch. But nothing can prepare them for the violent backlash that happens after they pull over the member… s of a notorious drug cartel for a routine traffic stop.